Q: I have a 22-year-old Quarter Horse that recently experienced his first bout of laminitis. What are some key diet points to consider as he recovers from this episode and prevent relapses? A: First of all, I’m sorry to hear that your horse and you had to go through this. Laminitis (inflammation of the lamina) can not only be painful but also potentially career-ending and even LIFE-ending. Hopefully I can provide some advice that helps him recover from this episode and not have to experience another. My very first thought when I read that your horse is a senior (age 22) and just had his first bout of laminitis is: could he have Cushing’s Disease? Laminitis is one of the clinical signs associated with this medical condition in horses. Cushing’s (also known as Pituitary Pars Intermedia Dysfunction or PPID) can be responsible for the onset of laminitis in an older horse that has never struggled with it before. I strongly encourage you to ask your veterinarian about testing your horse for Cushing’s. If he does test positive, there is an FDA-approved for use in horses treatment for this condition (Prascend) which may reduce his risk for another bout of laminitis in the future. At the same time he is having bloodwork examined for Cushing’s, consider also having his insulin status assessed. An inability to regulate glucose or blood sugar (which can occur with or without the presence of Cushing’s) can also be responsible for laminitic episodes. Your vet can share with you the most current nutritional recommendations appropriate for horses with Cushing’s, insulin dysregulation, or both conditions, depending on what the bloodwork shows. 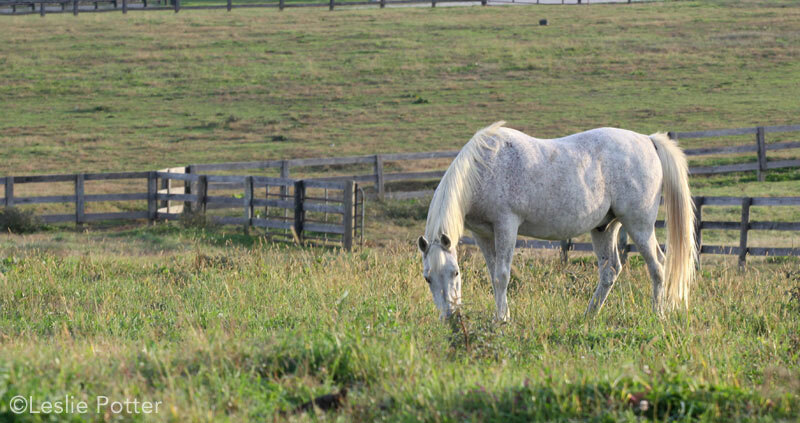 If neither Cushing’s nor an inability to regulate insulin is the culprit, you may want to consult with your vet about general diet and management practices that could be setting your horse up for laminitis such as lush pasture, sweet feeds, or other foods high in sugar. Consider increasing wellness visits from annually to twice a year, so that your vet gets to examine your horse more frequently. And don’t forget to work with your farrier to make sure your horse’s hooves are in the best shape possible. By getting on top of the situation early with quality preventive care, your horse has a great chance of recovering and remaining healthy!